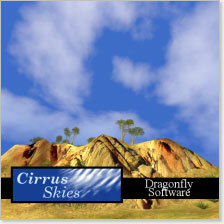 Dragonfly Software is proud to announce the immediate release of our first product: Cirrus Skies. This is something that I have worked hard on for a long time. I want to thank the great staff at GarageGames for all their help and support. To everyone who sent me mid-night emails asking when this would be complete, thankyou for your constant encouragement. I’m confident you will agree, Cirrus Skies was well worth the wait! Dragonfly Software is developing dynamic weather-effects for the Torque Game Engine. Our middleware add-ons produce a more immersive and life-like gaming experience. Our code is designed to be modular, flexible, clearly written and well documented to save end-developers time, money and aggravation. Dragonfly Software also does occasional contract-programming, and has numerous other projects in the development pipeline! Dragonfly Software is a 2008 software-startup based in the Lowcountry region of SC, USA.